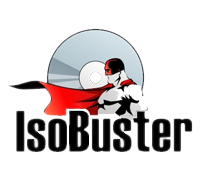 IsoBuster is an award winning , highly specialized and easy to use CD, DVD and blu-ray (BD, HD DVD) data recovery tool. It supports all CD / DVD / BD / HD DVD formats and all common file-systems ... Rescue lost files from a bad or trashed CD or DVD disc, save important documents, precious pictures, video from the family, your only system backup, ... IsoBuster can do it all. No accumulated cost if you need more than one type media supported. IsoBuster is a highly specialized yet easy to use optical media data recovery tool. It supports all optical disc formats and all common optical disc file-systems. Start up IsoBuster, Insert a disc, select the drive (if not selected already) and let IsoBuster mount the media. IsoBuster immediately shows you all the tracks and sessions located on the media, combined with all file-systems that are present. Comodo Dragon is a Chromium technology-based Browser that offers you all of Chrome's features PLUS the unparalleled level of security and privacy you only get from Comodo. Including a greater level of privacy than Chromium technology offers. Very easy to switch from your Browser to the Dragon. Auslogics Disk Defrag is a compact and fast defragmentation tool that supports both FAT 16/32, and NTFS file systems. It's supplied with advanced disk optimization techniques, which will remedy your system sluggishness and crashes caused by disk fragmentation. Disk fragmentation leads to system slowdowns, PC crashes, slow startups and shutdowns. Auslogics Disk Defrag is designed for fast defragmentation of modern hard disks. phpMyAdmin is a free software tool written in PHP intended to handle the administration of MySQL over the World Wide Web. phpMyAdmin supports a wide range of operations with MySQL. Browse and drop databases, tables, views, fields and indexes. Create, copy, drop, rename and alter databases, tables, fields and indexes. Maintenance server, databases and tables, with proposals on server configuration. Execute, edit and bookmark any SQL-statement, even batch-queries. Manage MySQL users and privileges. Manage stored procedures and triggers. Import data from CSV and SQL. Export data to various formats: CSV, SQL, XML, PDF, ISO/IEC 26300 - OpenDocument Text and Spreadsheet, Word, Excel, LATEX and others. Core FTP LE - free Windows software that includes the client FTP features you need. Features like SFTP (SSH), SSL, TLS, IDN, browser integration, site to site transfers, FTP transfer resume, drag and drop support, file viewing & editing, firewall support, custom commands, FTP URL parsing, command line transfers, filters, and much, much more! This free, secure FTP client gives you a fast, easy, reliable way to update and maintain your website via FTP. It also provides a secure method (via SSL, TLS, or SFTP) to upload / download files to and from FTP servers. There are no popup ads, advertising or spyware and you're never asked or reminded to register. Encrypt and decrypt files to servers using the latest encryption methods. Schedule ftp transfers (unattended) without additional services. IBM Information Exchange support with command line updates. Email notification, external program execution, & Ping/TraceRoute included. View thumbnails images of remote directories (in 4 different sizes). Zip support - Compress, password protect, and backup to FTP securely. AMD's award-winning Catalyst graphics and HD video configuration software delivers unprecedented control of performance and visual quality with AMD Radeon graphics processors. AMD Catalyst drivers deliver stable performance and push the limits of innovation with advanced user-oriented features. Precision controls for power users. Tweaks for gamers and video enthusiasts. Simple wizard-assisted setup, easy multi-monitor configuration, and ultra reliable operation for working professionals. New user or seasoned expert, AMD Catalyst puts you in charge of The Ultimate Visual Experience. AMD Catalyst updates are focused on improving graphics performance, including enhancements for popular Direct3D and OpenGL game titles. AMD Catalyst includes the AMD Catalyst Control Center, delivering innovative features and unprecedented control of performance and visual quality with AMD Radeon graphics. Catalyst drivers for Windows Vista and Windows XP are Microsoft WHQL-certified to deliver the industry's most stable and reliable graphics performance. This version is for the 32-bit version of Vista. iTunes is a free application for Mac and PC. It plays all your digital music and video. It syncs content to your iPod, iPhone, and Apple TV. And it's an entertainment superstore that stays open 24/7. Encode music into a number of different audio formats. This is the 32-bit version.